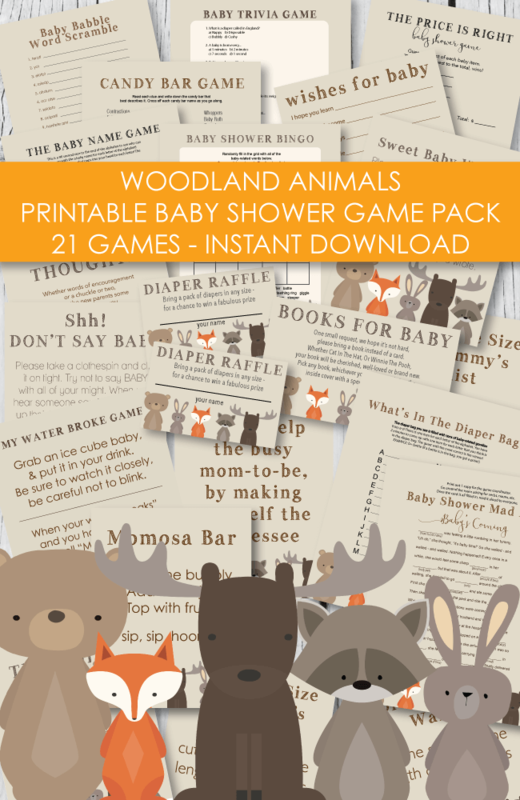 This Bless the Nest Baby Shower, by Katelyn Meekel of Events by Kate, brings an adorable, wooded baby shower that works for either baby boys or baby girls. The mother’s nest, and other beautiful bird ornaments, elegantly set-up in an enchanted forest like setting. 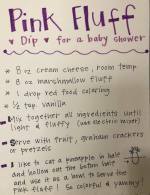 The emphasis on nature works well with Katelyn’s creative creations! Surrounded by fallen leaves and many large trees, the setting is a perfect match for Katelyn’s vision. Never mind the remote forest location, even the antique tables and seating areas remain true to the core of the theme: the tables and seats are as earthy in texture and color tone as the setting they are in. Desserts are simple but classic favorites. 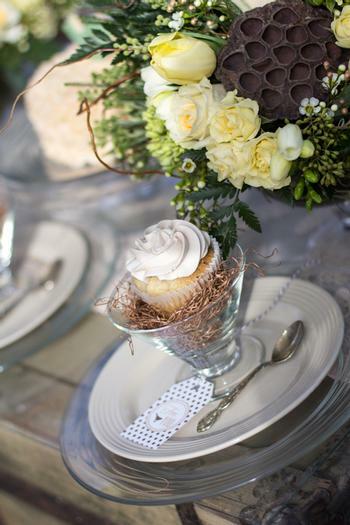 Vanilla cupcakes, topped with white cream frosting, are arranged in beautiful clear glass bowls that are just the perfect size for them. For a bit of creative decoration, little bird nests are made within each bowl using little stems and branches. Strips of cardboard paper in matching brown color may also work! The other dishware is kept simple: a white plate for the meals is underneath the nest bowls, with a simple antique spoon on the side. The intimate table for the closest of friends is lined with two identical, beautiful floral arrangements. Sticking to the theme colors of whites, vanilla and browns, floral in green line the various types of white flowers in the bouquet. Each of the two bouquets are placed in clear vases. For the dessert, white roses cover the entire cake. A beautiful little bird cookie props up in the center of cake. The teal color adds a little youthful brightness to the otherwise elegant and classically designed cake. 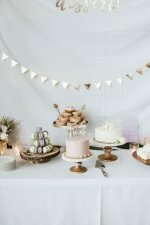 A long white table cloth runs through the center of the table, leaving the edges on both sides of the table bare. This exposes the natural wood of the table, very much the color and texture of the nearby trees surrounding the gathering. 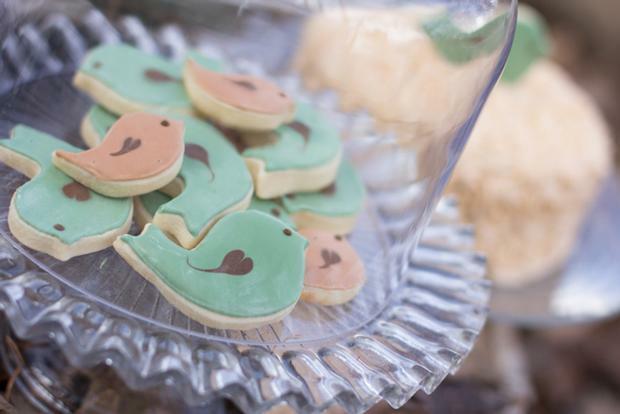 A closer look at the bird cookies is shown here. The bird cookies are either in teal or peach. Little hearts in brown make for the wings. Different sizes add a bit of decor variety. All are kept in a clear stand to showcase the yummy delights. 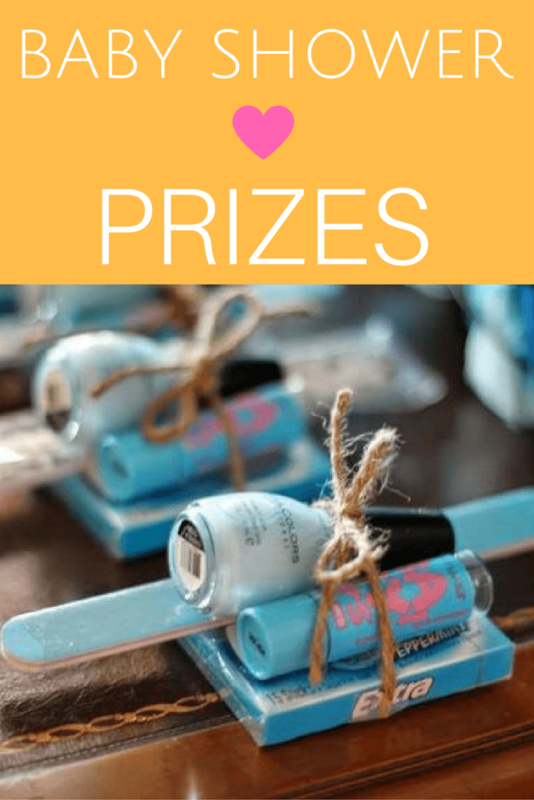 Jars are not only great for storing treats, but can also be used to make up designs. Here two identical tall, clear glass jars have nests within. 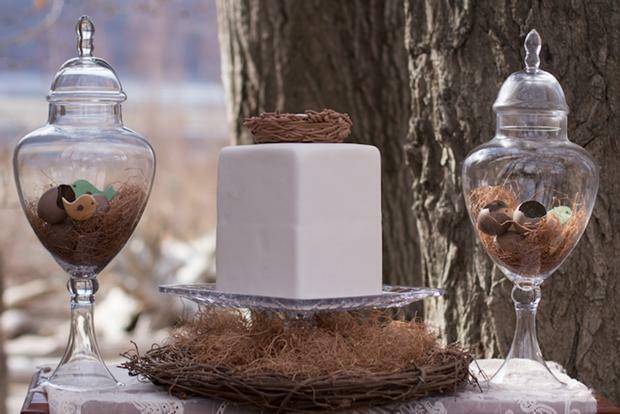 Cracked egg shells surround beautiful surprises-baby birds decorative treats! A large nest in the middle of the table has another tray resting on it. What’s hidden beneath the mystery box with a nest? That is up to you. This table is a perfect way to keep food fresh and away from any unwanted guests that also greet the forest area, such as ants and other insects! 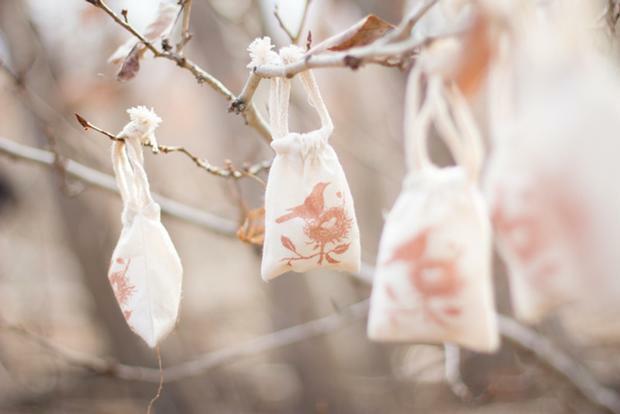 With all the branches surrounding the long, large trees, hang a few goodie bags (Muslin bags with bird seeds) up in the lower branches. Peach designs of a mother by her nest blend in nicely with the stems they hang from. Despite the dreadfully gray and chilly season, the spectacular details bring joy and warmth! 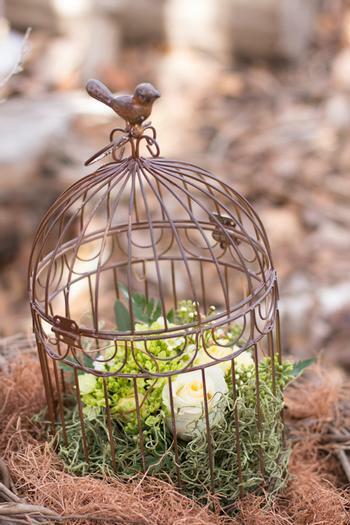 One last idea to end this beautiful Bless The Nest Baby Shower includes a bird cage with a bouquet kept inside. The birdcage is within a bird’s nest. The striking contrast of the bright natural colors with the earthy dull ones complements quite nicely. 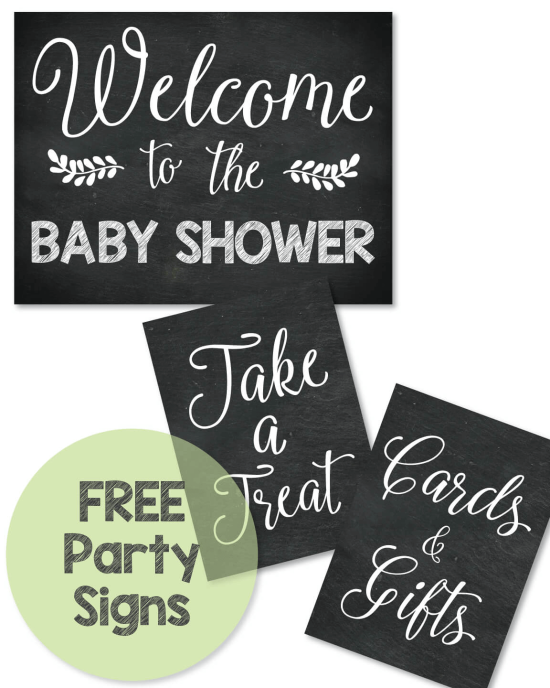 It’s also a unique concept but blends with the very plant and landscape theme this baby shower stresses. 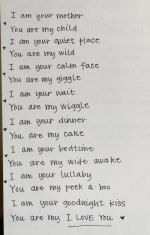 Thank you Katelyn for all these beautiful ideas. Whether stand alone or together, the little details of each are a delight to witness, take part, host, or receive an invitation to. 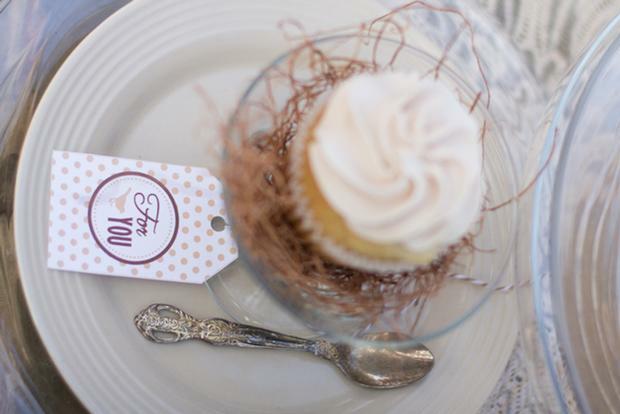 Be sure to grab these FREE printable birdie baby shower favor tags! 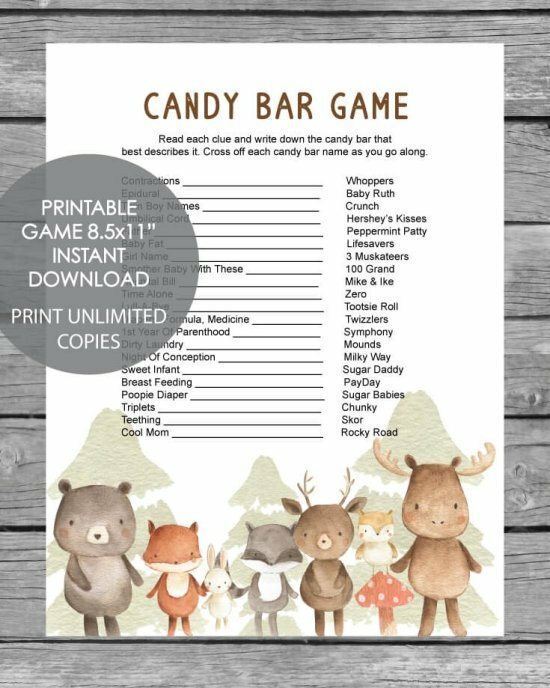 You can also use them for stickers (print on a full label sheet), food picks, cupcake picks, add to ribbon for napkin rings, make garland and use for the table or mantle use for gift and prize tags! 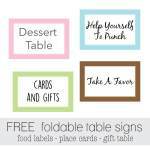 Click here to access them. 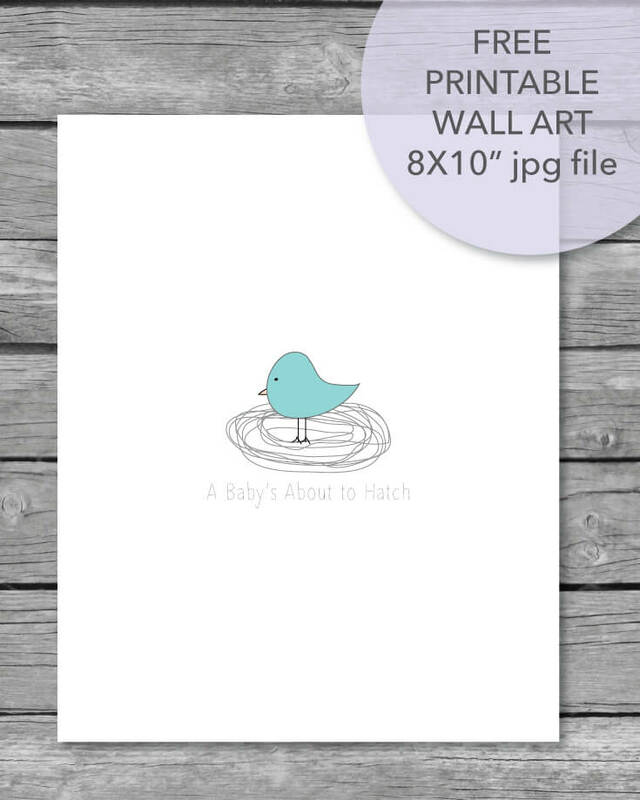 Click on the picture to access this FREE "A Baby's About To Hatch" printable wall art. 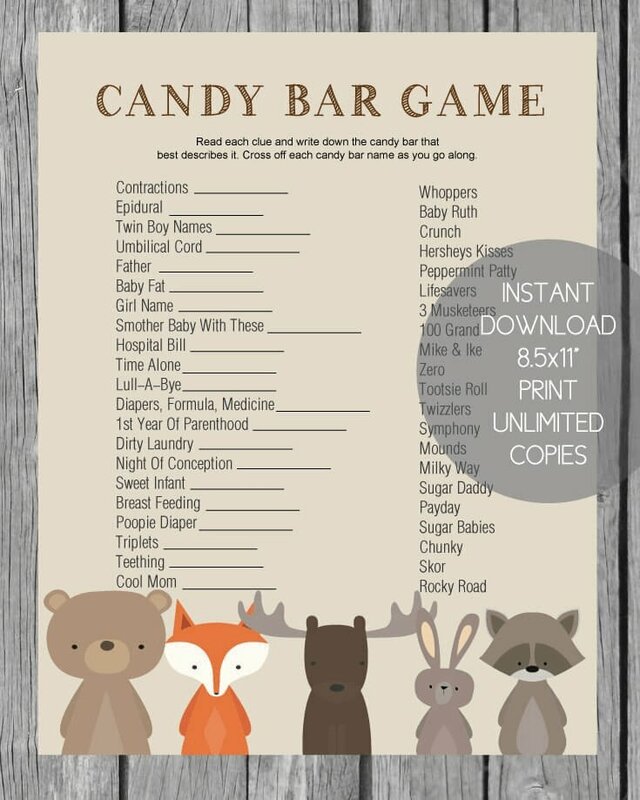 Use as baby shower decor and also give to the mother-to-be to hang in the baby's nursery. 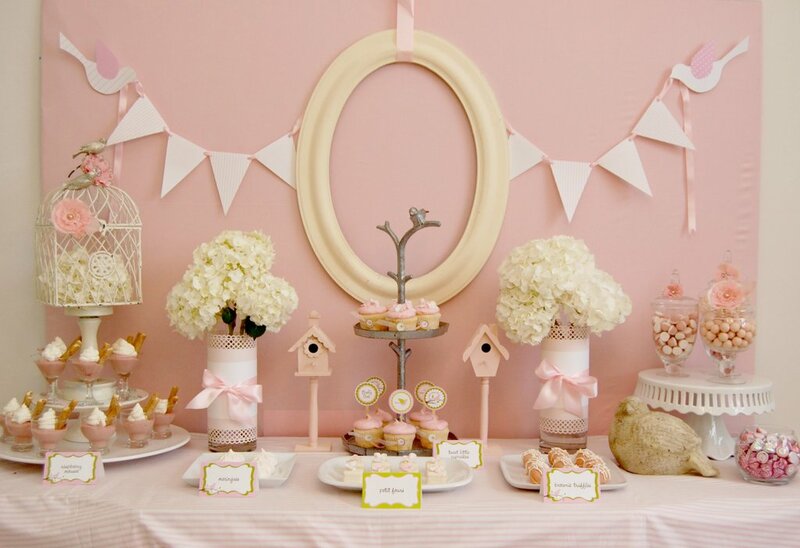 We thought this pink baby birdie themed tablescape was perfect for a Bless The Nest Baby Shower! The tiny, pink, wooden birdhouses are just precious and the white hydrangea flowers add a beautiful and elegant touch to the table. 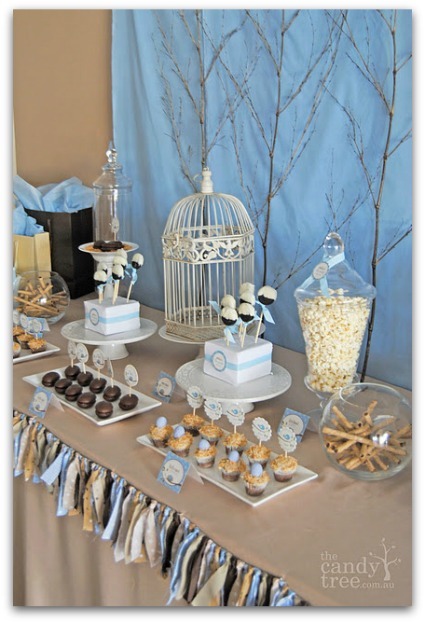 We hope this sweet birdie decor inspires you! 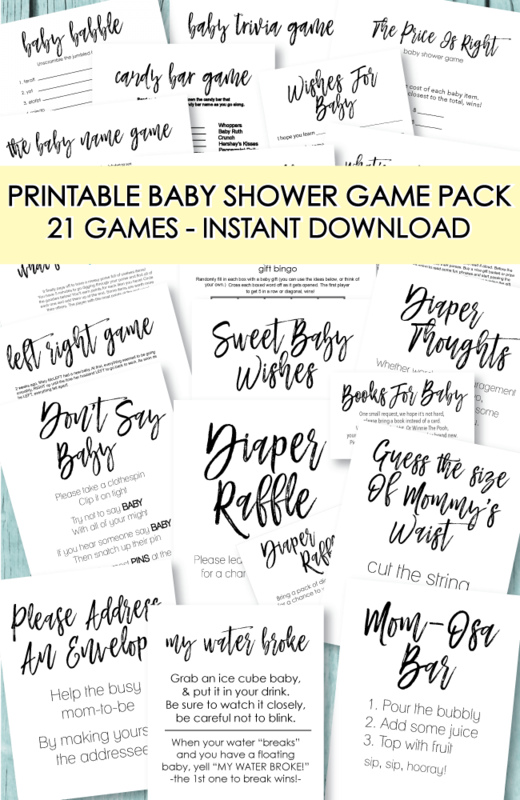 Visit Our Other Bird Baby Shower Theme Page - "She's About To Hatch"